Browse our green tea skin care products and start reversing the signs of aging today! Research has shown that topical application of green tea extracts has resulted in many benefits for the skin, including age-defying and skin-soothing properties. Azfasst skin care products are founded on these antioxidant benefits. Our products contain green tea extract with other active ingredients to create powerful formulas that counter aging and cleanse, moisturize and protect your skin from further damage. Gentle, yet effective, our product formulas offer unique solutions for virtually all skin types, including sensitive skin. 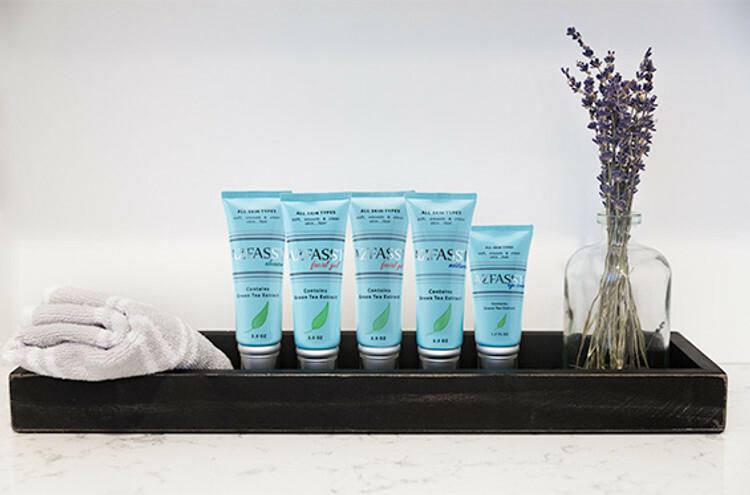 So, whether you’re looking to calm redness, minimize dark spots, smooth fine lines or soothe irritation, our green tea skin care products will help clarify, repair and hydrate your skin for a softer, smoother and more radiant glow.